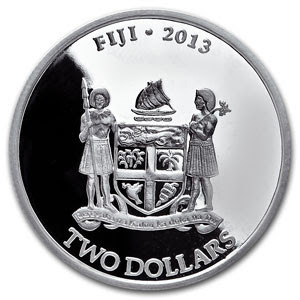 The 2013 Issue features a new Reverse depiciting the Fiji Coat of Arms.. changed from the traditional Queen Elizabeth Effirgy. 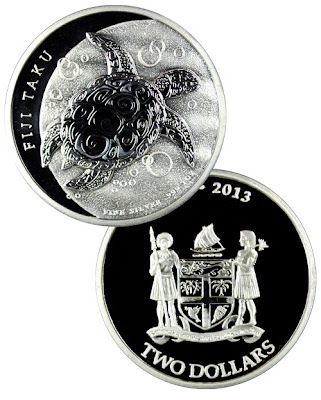 Strict limited mintage of only 350,000 coins or less. 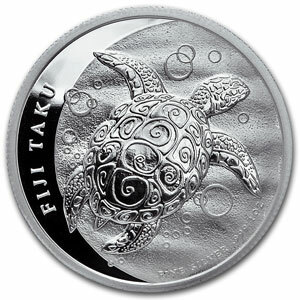 Obverse: stylized design of a Hawksbill turtle, also known as the Taku, swimming along the ocean floor amidst tiny bubbles.